Like a northern breeze across the prairie: just an instant of a moment in an hour of her life. ← When to Dismount and Say Thank You. Thanks, can’t say I miss those snowy days, but she is mud colored now! Aww…bless..bet she enjoys a good roll in the mud! Beautiful photo. 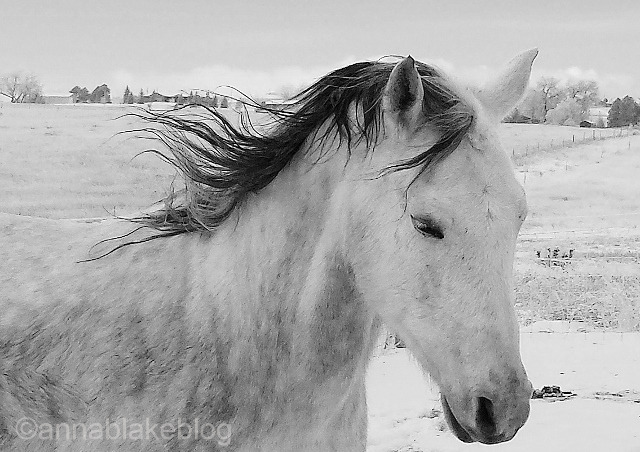 The horse has a magical feeling, as if the fence line in the background is her unicorn. Thanks, she is one of a kind. I love to visit some day. I’m In Massachusetts. You’re welcome, come on out. Warning: I’m told I make this place look better than it really does… but that’s the way I see it. Thanks, Debi, I’ll go take a look! Okay, really an out loud chortle. Thank you!